The tiller effectively sows maize, sorghum and pearl millet crops. Besides for crops like cotton it can be used for marking before sowing. It is a gear driven machine available is petrol and diesel version. The gears of the tiller can be changed both by hands or feet. “The efficiency and performance of both models is very good however farmer must select the model based on his usage. The diesel version tiller runs continuously for 5-6 hours and can cover up 3-4 acre while the petrol model is functional for 2-2.5 hours and can cover up 1.5-2 acre. The difference lies due the capacity of fuel tanks in petrol and diesel machines. The delivery schedule for the machine is 7-8 days. The petrol model is sold at Rs. 20-25 thousand while the diesel model is priced Rs. 35-40 thousand. “I have priced it less because it must be accessible to farmers so that they can adapt farm mechanization and increase their farm production. Presently there is fear in them for switching on mechanization because it costs more and maintenance plus operation cost is additional. I assure them that with regular maintenance like cleaning, oiling and fixing the internal parts the tiller can work for more than fifteen years. Rest we are always a phone call away for all sorts of repairs and fixation,” claims Mr. Rajendra. 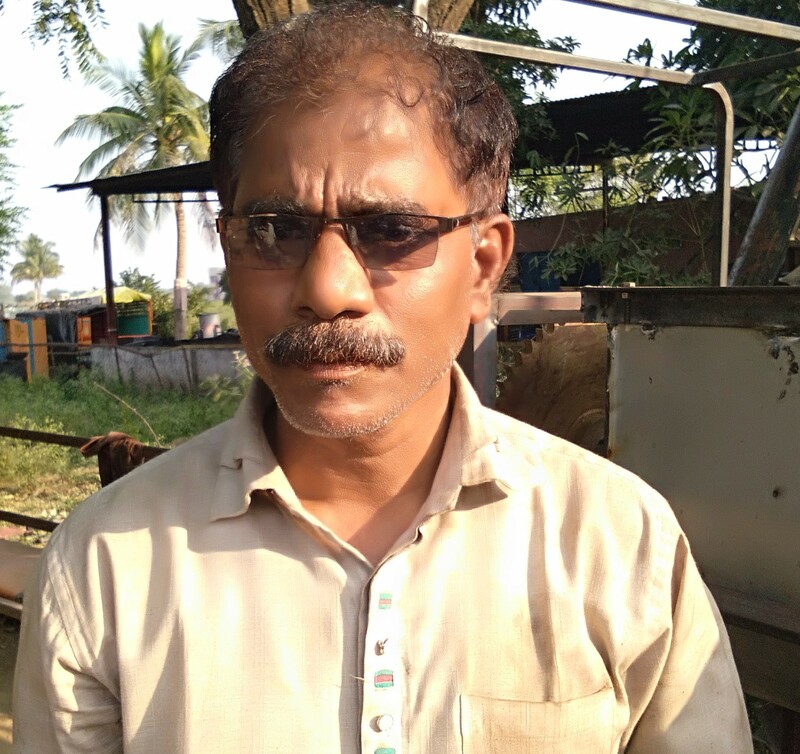 Mr. Rajendra developed this machinery on the basis of his years of experience as auto-mechanic and feedback from farmers. “I designed the tiller through hit and trial method! I don’t have any engineering degree or a teacher to guide me. I kept making and breaking the parts of tiller with the ultimate aim to develop low-cost machinery that makes farmers’ task easy and simple on the farmlands,” he adds. It took consistent efforts of three years to actually convert an idea into functional machinery. He self-funded the innovation with the profits earned from his garage where all sorts of vehicles are repaired proficiently. Speaking about designing farm machinery without having any know-how on farming, he says, “It was my farmer friend Motilal Patil who gave me a complete walk-through on working of a tiller. Based on the same I designed mini power tiller using the engine of a scooter. He frankly told me about the problems faced while using my tiller on the field and I kept correcting it under his guidance. Yet in order to be more accurate I decided to be near to the farmers thus handed over my garage in Jalgoan to my team and moved to Pachora village in Jalgoan district.” With more close interactions with many farmers in the village the tiller attained the perfection. “I used to ask the farmers to use the tiller for free and return it back with their feedback. 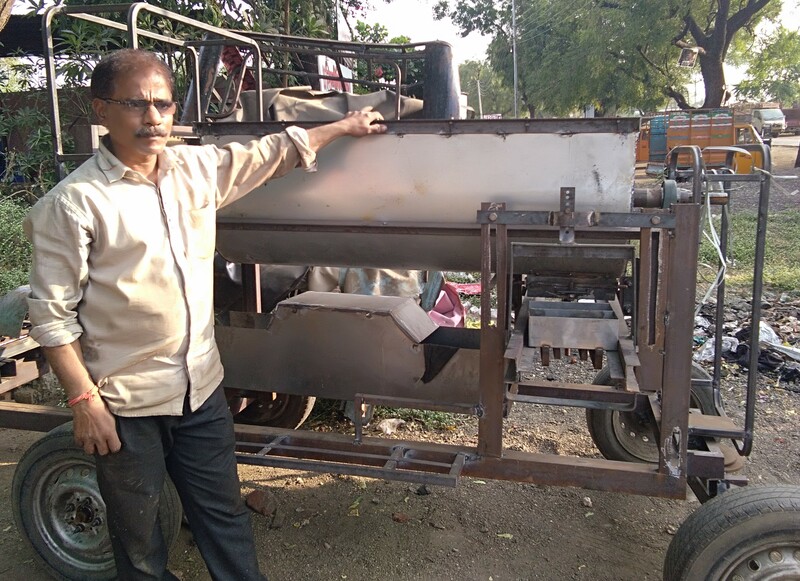 It was continuous process and finally the tiller was ready to be sold commercially.” As the tiller is economically priced and good after sale-service is offered Mr. Rajendra’s tiller is gaining popularity locally as well as in other states of India. In time to come Mr. Rajendra plans to include new implements to the tiller so that 70-80% of farming activities can be completed easily. “I shall be working alongside the farmers so that the performance of the tiller improves on the field. The feedback and advice from farmers shall be considered utmost as they are the end-users,” he adds.